The 2012 Naish Columbia Gorge Paddle Challenge has just wrapped up at Hood River, Oregon, in spectacular fashion. 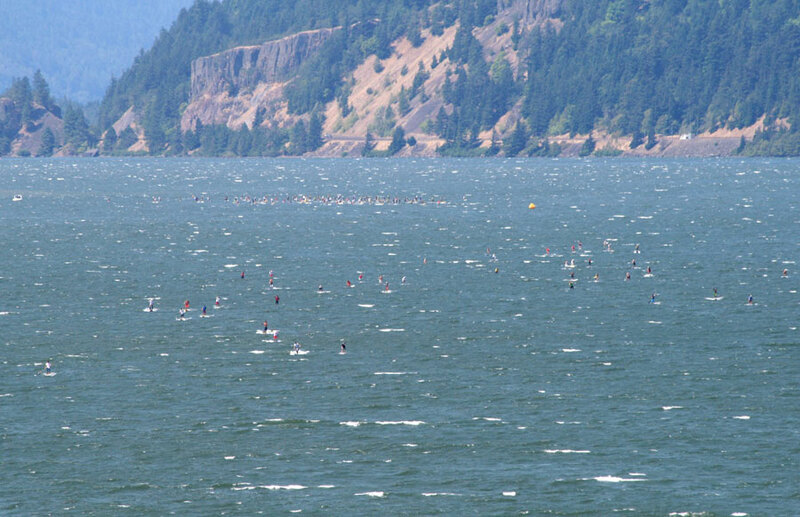 The stacked field of paddlers and awesome race conditions combined to help make this one of the best SUP racing events of the year. 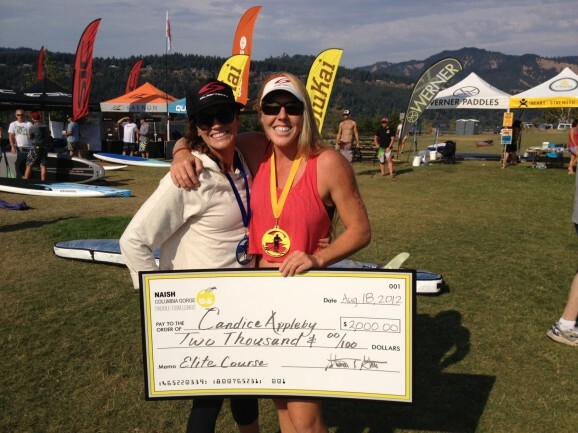 With $18,000 in prize money on the line, a virtual “who’s who” of the stand up paddle race scene battled it out for this year’s Gorge Paddle Challenge. 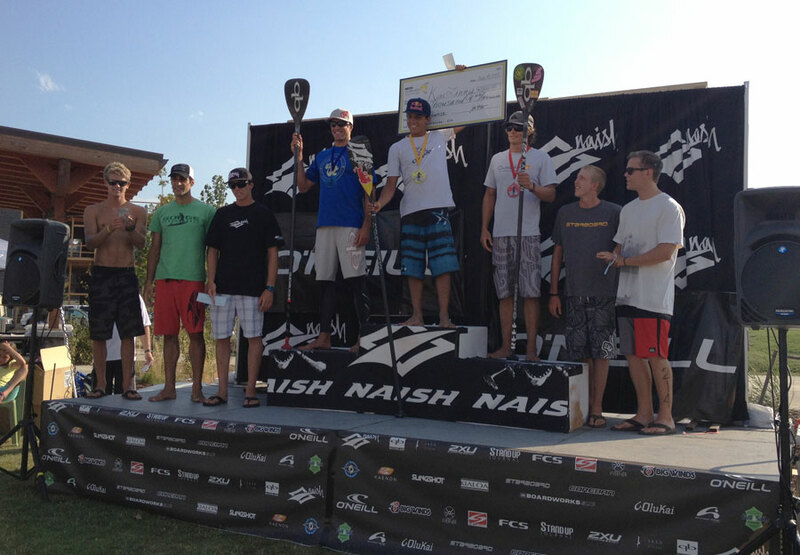 Just making the Top 10 in this event is as impressive as a podium spot in almost any other SUP race around the world. Yeah, it was a stacked field. But who stood up and took the glory…? Just as SUPracer.com predicted, Candice Appleby won the women’s Elite Course Race on Day 1, while Kai Lenny took out the men’s Elite race ahead of Jamie Mitchell (2nd) and Chase Kosterlitz (3rd). 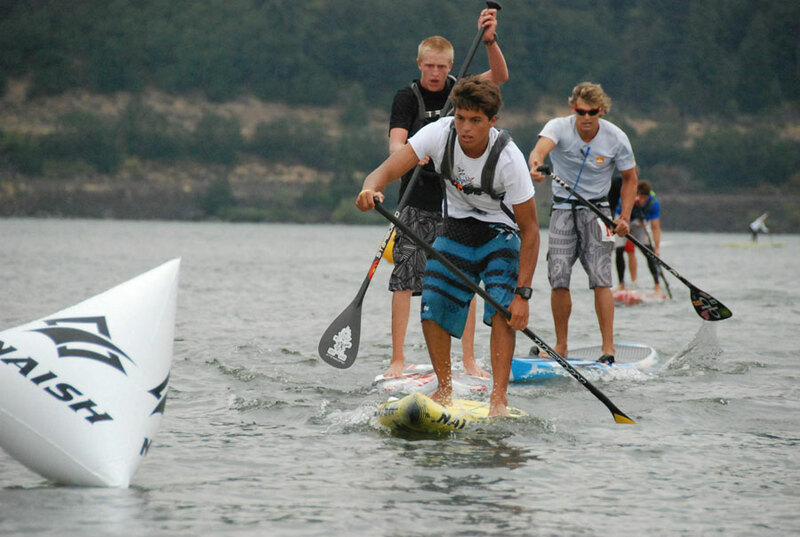 With 35+ knot winds making conditions perfect for a Gorge Downwinder, and with Maui downwind specialists such as Livio Menelau, Jeremy Riggs and Dave Kalama joining the likes of Connor Baxter and Jamie Mitchell in the starting line-up, you could have forgiven Kai Lenny for resting on his laurels and enjoying the race. But instead, the 19-year-old stepped things up to another level entirely, taking the victory by one and a half minutes ahead of Baxter (2nd) and three and a half minutes in front of 10x World Champ Mitchell (3rd). Candice Appleby also took out the downwinder, claiming the double win along with Kai. 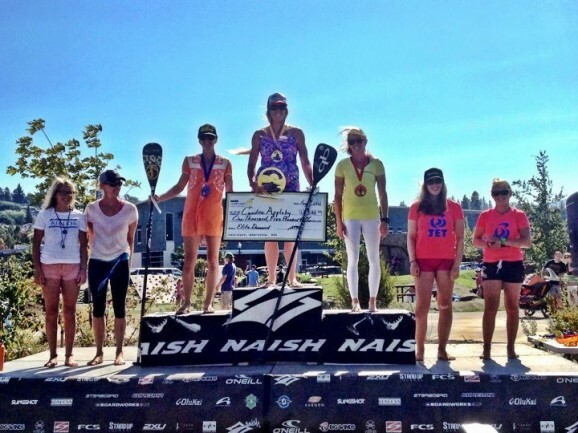 Jenny Kalmbach was 2nd and Karen Wrenn grabbed third. 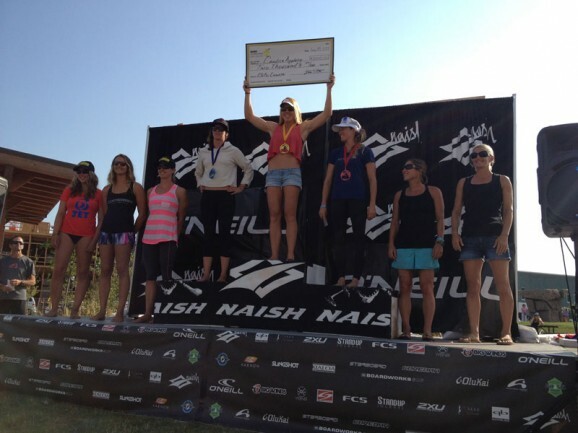 However Talia Gangini (2nd woman over the line) was apparently disqualified for riding the wrong board (more on that later). 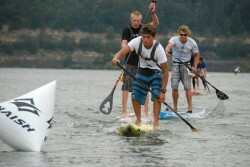 Kai Lenny’s dominance of the Gorge Paddle Challenge is quite fitting. This was a Naish event (his main sponsor) plus he hosted a feel-good, record-breaking “Grom SUP” event on the Friday. It was Kai’s weekend, basically. The crew at Team Naish couldn’t have written the script any better if they tried. Check out reactions from the paddlers themselves below, then scroll down for the full SUP race results (also take a look at some epic Gorge Paddle Challenge SUP Race photos). Good tough Race today ! 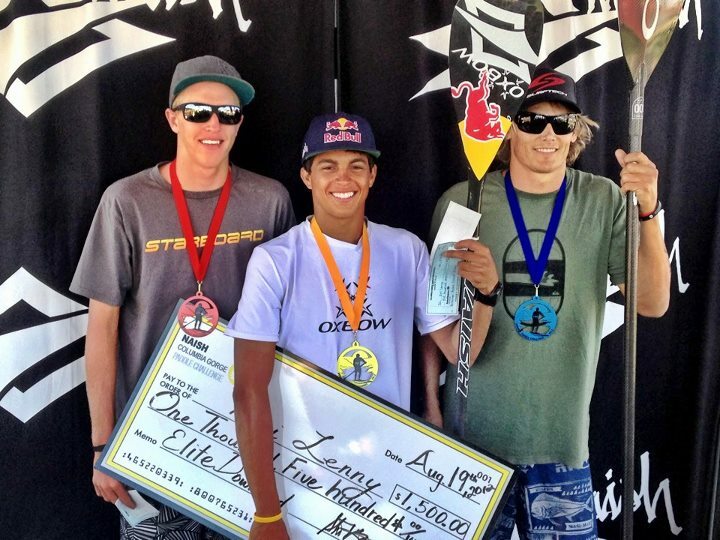 Congrats @kai_lenny ! Good job!